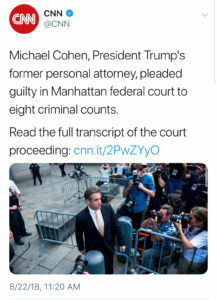 President Donald Trump’s former personal attorney, Michael Cohen, pleaded guilty in the Southern District of New York yesterday. 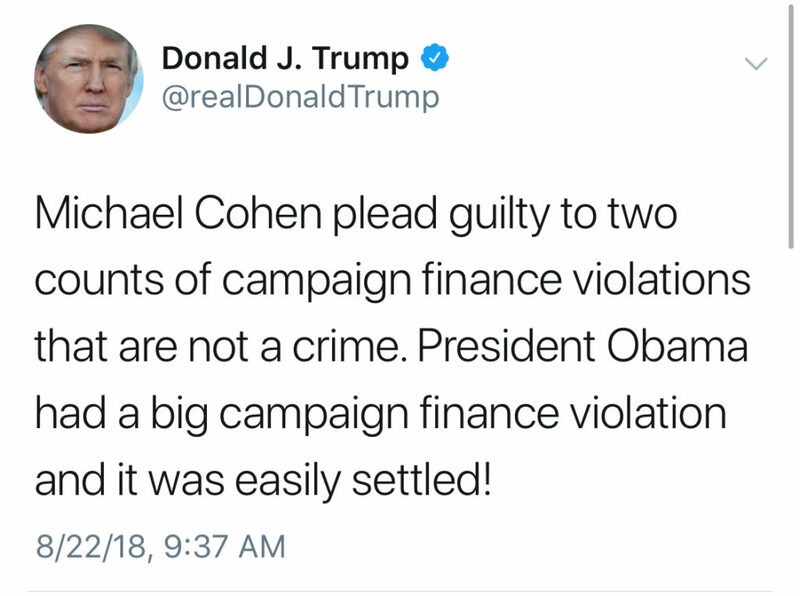 As a result, journalists, commentators, and attorneys were again confronted with the question: Is it correct to say he pleaded guilty, plead guilty, or pled guilty? As you can see in these examples, the variations are numerous. Perhaps this problem exists because none of the options seem correct. 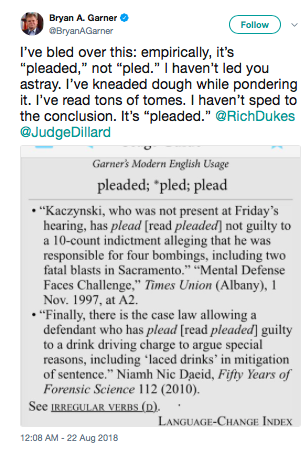 According to Bryan A. Garner, the Editor in chief of Black’s Law Dictionary and author of Garner’s Modern English Usage, it is correct to utilize “pleaded,” not “pled.” See, @BryanAGarner tweet, 8-22-18 12:08 a.m. 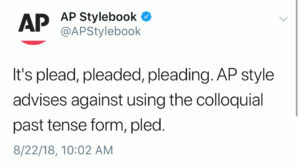 The practical problem with pleaded, plead, and pled seems to be that no matter which term you utilize, many of your readers, even those within the legal profession, will wince at your choice and believe you made a grammatical error. 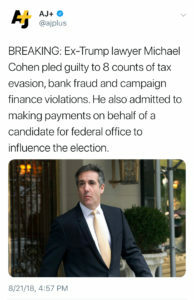 A Westlaw or Lexis search for these terms will demonstrate how often they are utilized, whether correctly or incorrectly, within formal filings, including court opinions. 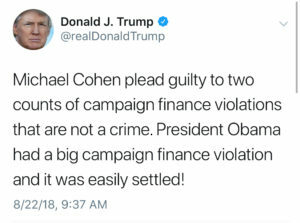 I am sure that there are grammar police who will disagree vehemently with this approach. 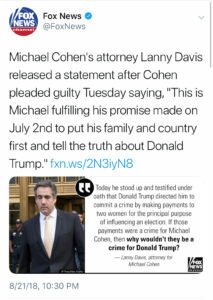 However, I must plead with them, and am positive many have already pleaded with them, and some others may have already pled with them, that this issue causes confusion to readers and authors whenever there is national news involving an arraignment or deal and perhaps it is best to simply avoid it when possible.